Here at Las Vegas Guest List we are dedicated to making your trip one of a kind! We are happy to announce that we have started working with 1 OAK! This nightclub is designed entirely around its dance floor, 1 OAK Nightclub Las Vegas knows how to offer a full night of fun in a smaller amount of space. Typically 1OAK has long lines of people eagerly waiting to get in, however, on our guest list you get to skip the general admission! This nightclub is not like all the others here in Vegas! 1 OAK is one of the only clubs that plays a majority of Hip Hop and Top-40! So if you are getting tired of electronic music in clubs then 1 OAK is for you! 1 OAK Nightclub Las Vegas is a smaller, more intimate nightclub and is always packed, thankfully the security staff double as crossing guards and will tell you the best places in the club to stand. If you are looking to have a place to relax we suggest getting a table so you can rest your dancing shoes, however, partiers can also hang out at the bar and lounge area set slightly above the rest of the club. This is a nice alternative to a table but this area will be difficult to find open seating. This is the spot to chill and enjoy the music while deciding whether you want to move to the dance floor or not. Tables around the lounge area are probably cheaper than the ones surrounding the dance floor, so it all comes down to where you want to be when the lights are shining and the music is in full swing. The dance floor itself is by far the best place to be. When a resident DJ is playing, it becomes a hotspot for all the people who truly go to nightclubs to dance! If you’re not comfortable with closeness, 1 OAK might not be for you. It’s the type of club where strangers become good friends while they push past each other to get at their next drink. And it’s the kind of place where dancing the night away is more important than following all the rules or trying too hard to be overly sophisticated. 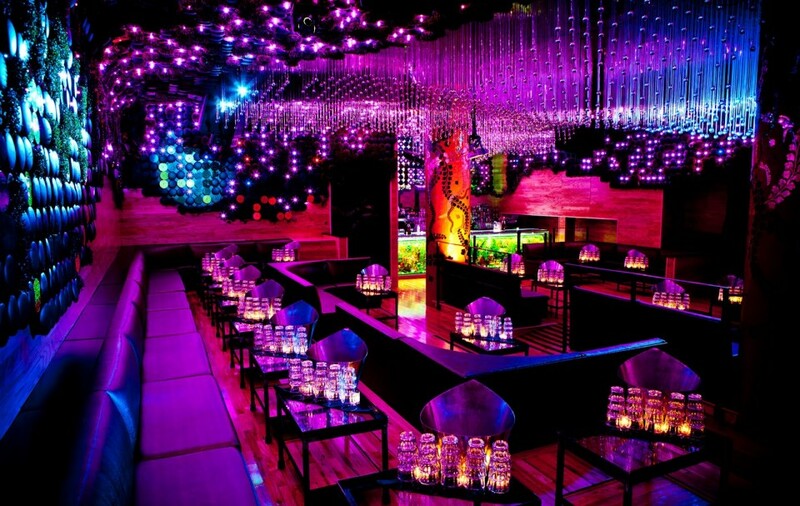 So sign up now to get into this nightclub for FREE on our 1 OAK Las Vegas guest list! Check out our Events Calendar and see what’s happening at 1Oak Nightclub Las Vegas and view the Dress Code!